A working class salaried individual always has a knot in his/her stomach when it comes to taxation. It is one of our civic responsibilities that we swallow with a pinch of salt. It is a mandatory contribution from a working person’s income and a business’ profits to the government on account of policies/works carried out by it. When announcing the Union Budget, the Finance Minister of the country, Mr. Arun Jaitley declared changes in the budget 2017 income tax slab. What do These Income Tax Slabs Mean? When one wants to calculate income tax, it is essential to take a look at the tax brackets. As per budget 2017 tax slab for individuals, the tax limit has been increased from 2.5 lakhs to 3 lakhs. This means that the population that earns under 3 lakhs a year will be exempt. For individuals who earn between 3-5 lakhs, they will be subject to a 5% tax rate. Earlier, this figure was 10%. Individuals earning income between 5-10 lakhs will have to pay 20% charge and individuals earning between 10-50 lakhs will incur 30% tax. Individuals earning more than 50 lakhs to 1 crore per year will have to pay a surcharge amount apart from the tax percentage. Surcharge simply means and extra charge that will be levied apart from the tax percentage relevant to that bracket. Read Also: How Much Will My Tax Refund Be This Financial Year? Components When Learning How To Calculate Income Tax. All these components are used to calculate income tax and get the annual taxable income which may or may not come under the brackets specified by the government. The government recognizes that everyone has other priorities/duties upon which the income can be spent which allows the government to exempt tax in those situations. 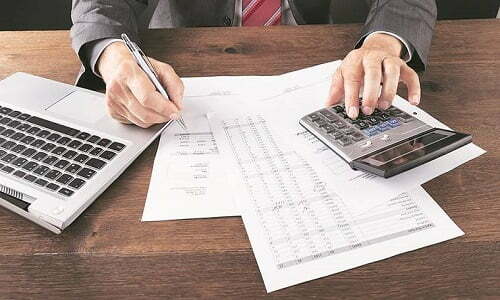 Other ways to invest in tax saving instruments are in equity linked saving schemes, provident fund, monthly home loan installments, and others. Medical bills also provide an exemption of up to 25,000 rupees. 50% of the basic pay if the individual lives in a metropolitan area and 40% for non-metro area. Apart from home loan installments, an individual can gain exemption even on rent paid, if the annual rent sum falls in HRA. Subtract all the relevant investments made against the taxable categories. The new amount after the deductions will be the annual taxable amount. The final amount would be the yearly tax paid. This amount can be further bifurcated into twelve months to get the per month tax levy. To calculate income tax, one can use numerous pre-formatted tax calculators. One of the more popular ones is tax calculator 2017-18 excel. Other options are online tax calculators which are easily available on the net. You can approach a certified Chartered Accountant to do your taxes for you.